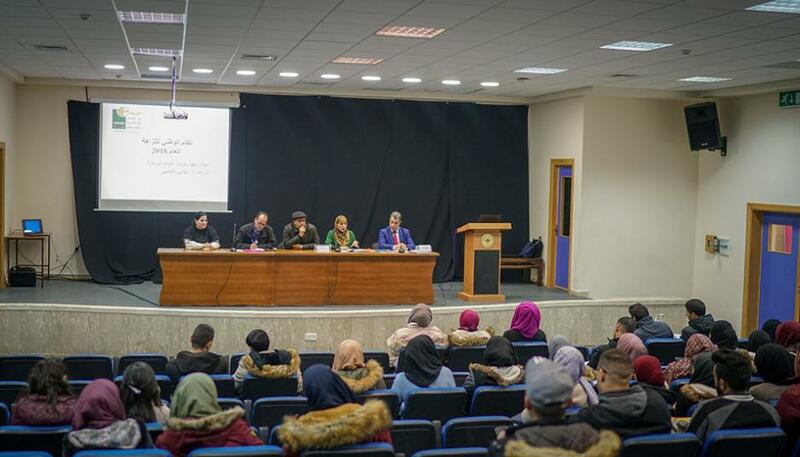 Public administration students at Birzeit University discussed the methodology and findings of a 2018 study on the national integrity system (NIS) in Palestine, carried out by the Coalition for Accountability and Integrity (AMAN), in a lecture on the university’s campus on Tuesday, March 5, 2019. Nour Mattour, chair of the Department of Public Administration, gave a brief overview of the topic and introduced the guest speakers, noting that this lecture reflects the department’s ongoing engagement in building bridges and establishing channels of communication between students and decision-makers and experts. Hama Zeidan, manager of AMAN’s advocacy and legal advice unit, stressed the need for public accountability in her opening remarks. She noted that the department’s Transparency and Accountability in the Public Sector course was created in cooperation with AMAN to cement the notions of accountability, transparency and good governance within the younger generation. Jihad Harb, the study’s lead researcher, reviewed the aims and objectives of this probe into the Palestinian NIS which evaluates twelve key pillars in the country’s governance system − the legislative, judicial and executive branches of government; the public sector; law enforcement agencies; the Central Elections Commission; the State Audit and Administrative Control Bureau; the Palestinian Anti-Corruption Commission; civil society; media; and the private sector – examining both their internal corruption risks and their contribution to fighting corruption in society at large. 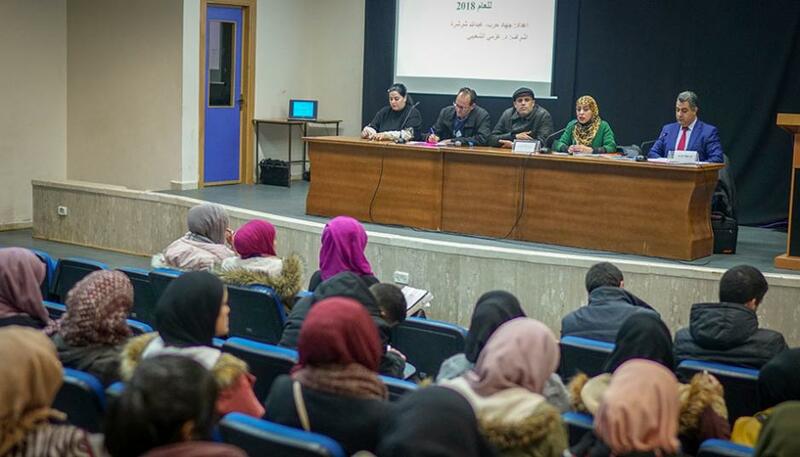 This study, carried out previously in 2009 and 2013 by AMAN, aims to reinforce safeguards against corruption and bolster accountability mechanisms in Palestinian institutions and society, said Harb. “We want to render corruption a high-risk, low-reward act,” he added. The study utilizes a score-based system that assigns a numeric result to each pillar, assessing their legal, institutional, and political frameworks and actual practices. A score reveals the extent to which indicators are compliant with the rules prescribed by the United Nations Convention Against Corruption (UNCAC) and NIS best practice. Harb explained the results of the study in which the Central Elections Committee reached the highest score (77), followed by civil society (67), the Palestinian Anti-Corruption Commission (69), the State Audit and Administrative Control Bureau (68), and the Independent Commission for Human Rights (67). The Palestinian Legislative Council and the executive branch, on the other hand, received the lowest scores with 31 and 34, respectively. These scores, Harb noted, reflect the weak roles of the legislative council and of the executive branch in fighting corruption. Inactive, the legislative council cannot carry out its task and exert control over the government and other public institutions. A government anti-corruption plan has not been developed, and the government does not honor the principles of transparency in the performance of its functions.